Here's your Weekly Wildlife Wednesday for April 4th. If you're in the San Francisco Bay Area tomorrow, you should attend the free Jaguars of the Chaco event at Stanford University, sponsored by Bay Area Tropical Forest Network (BATFN) and Mongabay. Thursday, April 5 from 6-8:30 pm. IUCN will soon have a "Green List" - a new way of measuring the success of conservation efforts. Well known for their Red List - a measure of threatened species - scientists have proposed a framework for a Green List as well, which "aims to encourage, achieve and promote effective, equitable and successful protected areas in all partner countries and jurisdictions." What a great idea! 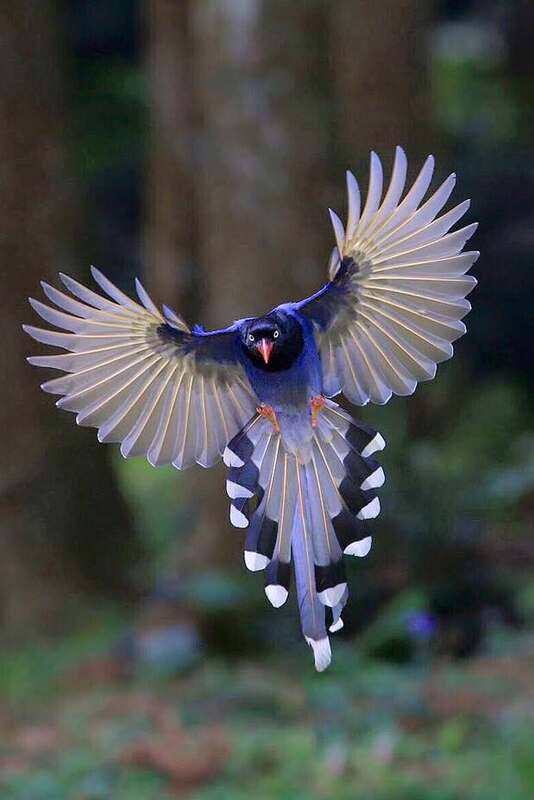 Amazing wildlife photo of the week: The Taiwan Blue Magpie is endemic to Taiwan and lives in broadleaf forests. This photo shows just how beautiful this bird is as it's caught mid-flight. Unbelievable! First lemur born in the Dudley Zoo in 21 years! The Dudley Zoo in the UK has announced the birth of critically endangered black and white ruffed lemur. What a cutie!